(AP) - Bishop Loras Joseph Watters, who led the Roman Catholic Diocese of Winona from 1969-1987, has died. He was 93. The diocese said Bishop Loras Joseph Watters died peacefully in the pre-dawn hours Monday. "He was a wonderful, simple bishop who went about doing his work quietly every day, unassumingly, and for this, the Lord will reward him well," Winona Bishop Bernard Harrington said Monday. "After so many years as a great bishop and now gone home to his eternal rest ... I'm sure he is delighted." Watters was ordained a priest in 1941. He became auxiliary bishop of Dubuque, Iowa, in 1965. Four years later, he was named by Pope Paul VI as the fifth bishop of Winona. 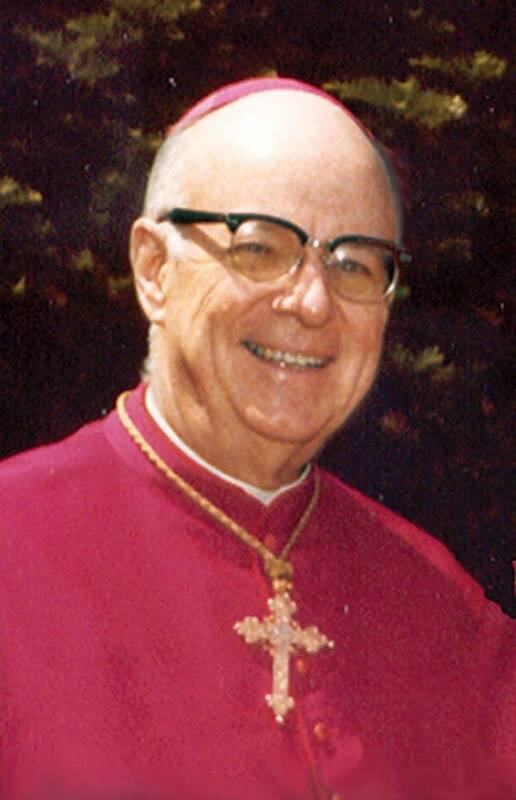 Bishop John Vlazny replaced Watters when Watters retired in 1987. Crookston Bishop Michael Hoeppner, a Winona native, recalled listening to Watters preach back when Hoeppner was still a high school student. "He was a student of the classics, and you listened to those sentences he'd put together -- clause after clause and the verb at the end -- it could be challenging," Hoeppner said. "He was our bishop after Vatican II. He helped us get with what the council taught and, as an educator, he relished that role." Perhaps most visibly, he led the diocese into celebrating Mass in English rather than Latin. "But he was a man of prayer first and foremost," Hoeppner said. "He was a kind churchman who loved God's people and loved being a priest." The Rev. Paul Nelson remembered the years he served Watters as rector of the Cathedral of the Sacred Heart. "One of the kindest men I've worked with in my 48 years as a priest," he said. Don Justin, a friend for more than three decades, visited Watters on Sunday night. "I offered to say the rosary with him," Justin remembered. As the prayer began, Watters blessed himself with the sign of the cross, then drifted into a peaceful sleep. "He wanted to go home," Justin said, "and if the gates of Heaven weren't wide open when he got there, we're all in trouble." The Diocese of Winona covers the bottom tier of 20 counties across southern Minnesota.